Warm up to the comfort of the newly renovated Maui Beach Hotel; where a leisurely getaway becomes a timeless experience. The 147 guest rooms and suites are beautifully appointed in a combination of tropical and continental styles. Enjoy wonderful accommodations, the famous Aloha spirit and fine food, all in the most convenient location on Maui: Kahului. 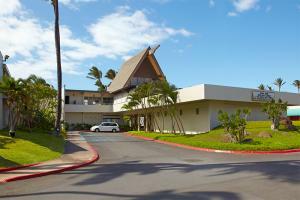 Located just 2.5 miles from the Kahului Airport.